If you are looking for improvement to your memory and living a happier life, then adding more curcumin to your diet will help, suggests a new study. UCLA researchers recently carried out an experiment that was published this week in American Journal of Geriatric Psychiatry. The experiment was to determine in what way curcumin, the chemical compound that gives curry its bright yellow color, affects the brain. Researchers from UCLA used 40 adults who were between the ages of 50 and 90, and had mild complaints related to memory. The 40 adults were then put into two separate groups in which one group was given just a placebo, while the other received 90 milligrams of curcumin two times daily for a period of 18 months. The participants took part in assessments for standardized cognitive ability at the time the study began and then in six month increments, or four times in all. In addition, approximately 30 of the participants were given PET scans randomly as a way to measure brain activity. After analyzing their results, researchers were able to determine that those participants who received two daily doses of curcumin saw a significant improvement in both attention and memory abilities in comparison to those who did not receive the curcumin during the study period of 18 months. In fact, the people who were given curcumin performed at a rate of 28% better on their memory tests following the 18-month long study. 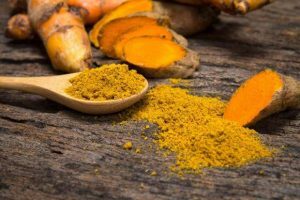 While researchers are not sure why the curcumin has the effect it does, they believe it might be due to the ability it has to lower brain inflammation, which has been linked to both major depression and Alzheimer’s disease, said the co-author of the study Gary Small. The study’s results suggest, said Small that taking this safe form of curcumin might provide cognitive benefits that are meaningful over a period of time. The researchers working on the study also discovered that the participants who received the curcumin during the study also reported having better moods. That is why scientists want further investigations into the possible benefits of curcumin and determine if the chemical can help people who have mild forms of depression. Researchers also want to use a larger study group of people that have varying ages with different genetic makeups to administer curcumin. Budweiser Falls Out of Top Three Favorite Beers in U.S.